DURHAM, N.C. -- Engineering student Alessondra ( is one of three Duke University seniors to win a Marshall Scholarship to continue in their respective fields of study after graduation. Biology major Nick Altemose and english major Katherine Buse were the other winners. Established in 1953 to commemorate the Marshall Plan, the scholarships are awarded each year to a maximum of 40 "talented, independent and wide-ranging" young Americans to finance graduate level studies at a college or university in the United Kingdom. "Duke is proud that Nick Altemose, Katherine Buse and Allie Speidel have been named winners of one of the highest of academic honors, the Marshall Scholarship," said Duke President Richard H. Brodhead. "They have enriched our campus life immeasurably and will have a major impact on the world in years to come." A Baldwin Scholar and a Pratt Fellow at Duke, Speidel has studied the effects of surface topography on normal human dermal fibroblasts. Fibroblasts, the most common cells of connective tissue in animals, play a critical role in wound healing. She worked with professor Kam Leong in the biomedical engineering department. Speidel ultimately hopes to become a physician-scientist, performing cardiac regenerative stem cell research and clinical work that could be put into practice by doctors. "There is a distinct difference between knowing a person and appreciating that person's perspective," she wrote in her application. "I believe this is why I am drawn to a career in medicine; a doctor not only treats the body, but must be able to heal the entire person." 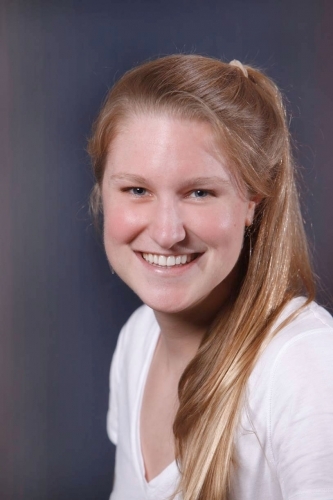 A member of the women's varsity swim team, Speidel is involved with the Collegiate Athletic Pre-Medical Experience (CAPE) Program, a joint initiative between the Duke University Medical Center and the Preston Robert Tisch Brain Tumor Center which exposes female varsity athletes to various medical clinical experiences. She also serves as a mentor with the First Year Advisory Counselor Program and as a chemistry and calculus tutor with the Duke Peer Tutoring Program. For more information about the Marshall Scholarship program, visit http://www.marshallscholarship.org/.